Recently I came across a song by Haitian born international recording artist Wyclef Jean by the name of "Election Time" and immediately I knew that my fellow Jamaicans would not only appreciate this song for its honesty but also for the power of hope and courage it is sure to invoke into their hearts. As the first official single from Wyclef's upcoming album "If I Were President: My Haitian Experience" Election Time removes the subliminal cloaks most hip hop songs tend to have and replaces them with the realness found on reggae and dancehall records; but as we all know Wyclef is all too familiar with Jamaica so this comes as no surprise. While the song may have been a dedication to the people of Haiti who are still recovering from the devastating earthquake which killed over 200,000 people earlier this year, most Jamaicans can attest to the underlined message behind "Election Time" and the revelations of political war associated with the process. To us here is Jamaica elections are a big deal, people die and the widespread unrest and fear of allegiance to the ORANGE or GREEN party always lingers even months after a leader is voted to run the country. 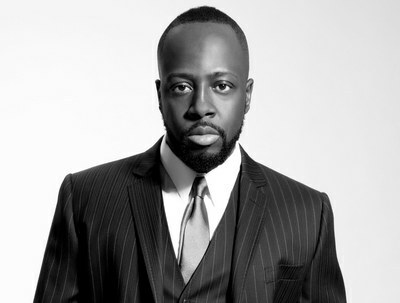 With provocative quotes such as "Election time is coming do you want Peace or War", "Election time around the corner what you gonna fight for" throughout the song Wyclef clearly outlines his blueprint for Haiti stating "If I was president the first thing I would do is get my people out of tents". Back in August of this year Wyclef announced that he would be running for President of Haiti ahead of the Nov 28th general election but later withdrew from the race due to claims of ineligibility. Wyclef who recently performed in Jamaica at the Arthur Guinness Celebration Concert gave a stunning performance and had no problem connecting with the Jamaican people who came out in there thousands, but enough talk have a listen if you haven't already heard it.